For the last two years I’ve been making organic jewelry pickle to clean the fire scale off of my jewelry after it’s been annealed or soldered. I searched the internet for a non-toxic alternative to the pickles that are commonly sold and I found this easy recipe. 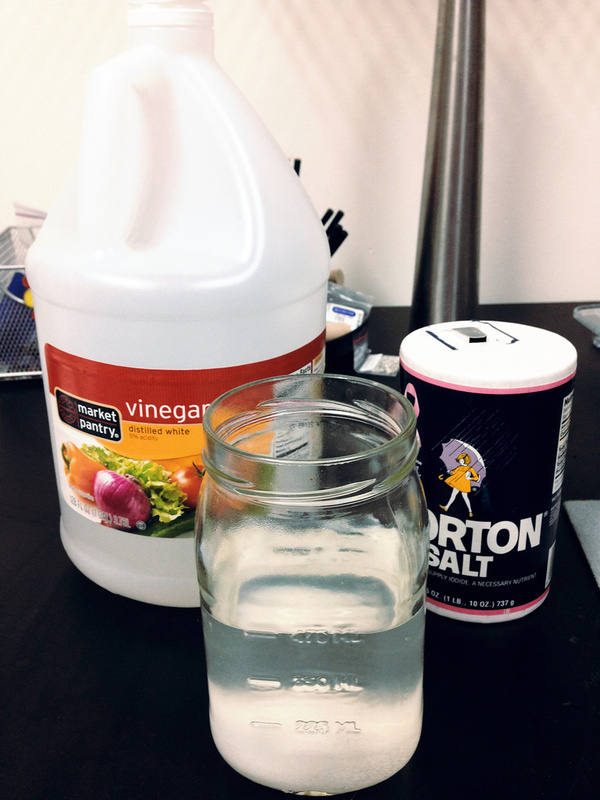 It’s a combination of 1 cup white vinegar with 1 tablespoon iodized salt… you can increase the amounts like I usually do. 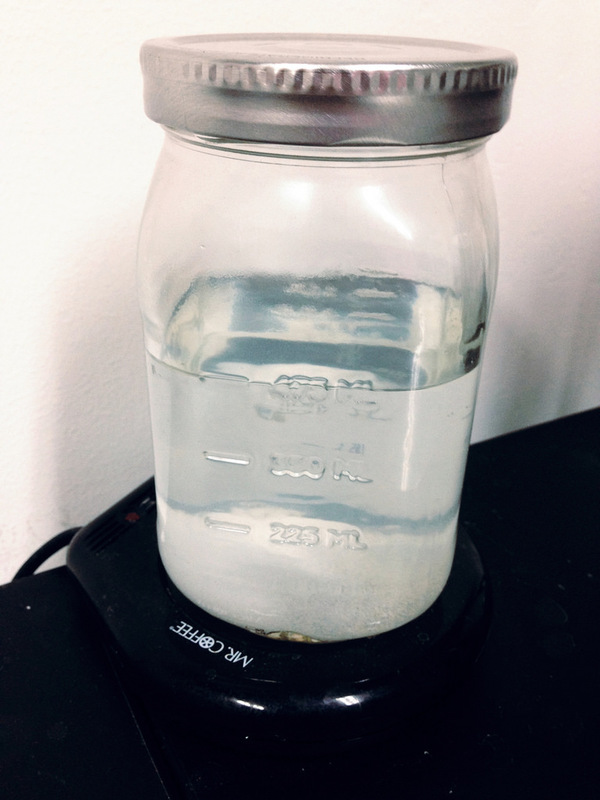 This pickle works best when it is heated so I keep mine on a coffee warmer. Make sure you turn it off when you are done or it will end up cooking your pickle after a couple of days. When the pickle turns a light blue it’s time to make a new batch. This stuff is fantastic and is completely non-toxic. 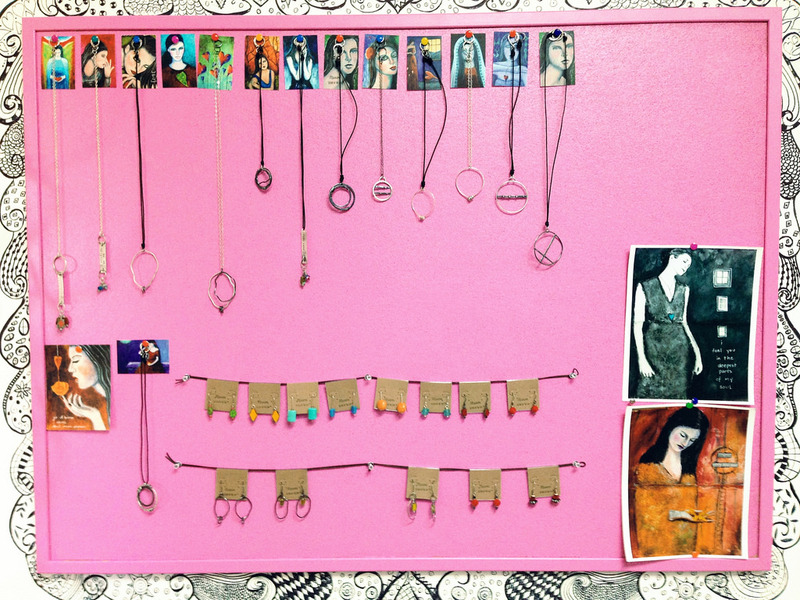 Here are some of my jewelry pieces on my cork board. The pretty pink brings a smile to my face every time I walk into my studio. 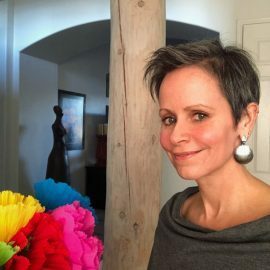 You can find my jewelry on Etsy.